Hemp and marijuana are two popular names for the Cannabis plant. Marijuana, often demonized for its recreational uses, has also a lot of medical applications and recently is legalized in many countries including more and more of the States of America USA. Medical marijuana and CBD products are becoming very popular and the reason is the many benefits the plant offers to Human Health. But also the little sister of Marijuana, Hemp, a sustainable crop has a wide range of uses. And according to many websites there is a possibility to make an airplane out of it. Derek Kesek, a man from Ontario, decided to create The World’s First Hemp Plane….His dream is to build an aircraft made almost entirely out of hemp. hemp-based, hemp-fueled. 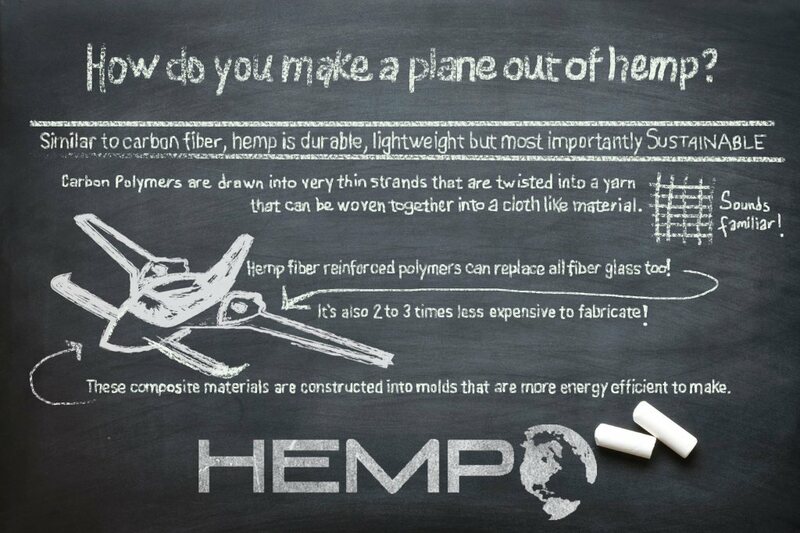 “The Hemp plane would have a carbon footprint significantly smaller than that of standard planes” Kesek said. In 2014, Kesek approached a Florida-based little airplane maker, Velocity Inc., to construct a model of his plane. He was planning to have the plane prepared by 2015. In any case, that never happened as Velocity has pegged the cost of building the aircraft at around $500,000. That was the reason why he is planning to use Crowdfunding(Kickstarter / IndieGoGo) in order to raise that amount on April 20, 2016. The date is symbolic 4/20, marijuana smokers' national holiday. Although there is a lot of delay to his project and some say that Kesek took the money and ran. Let's wait and see if he is going to reach the deadline of 4/20.